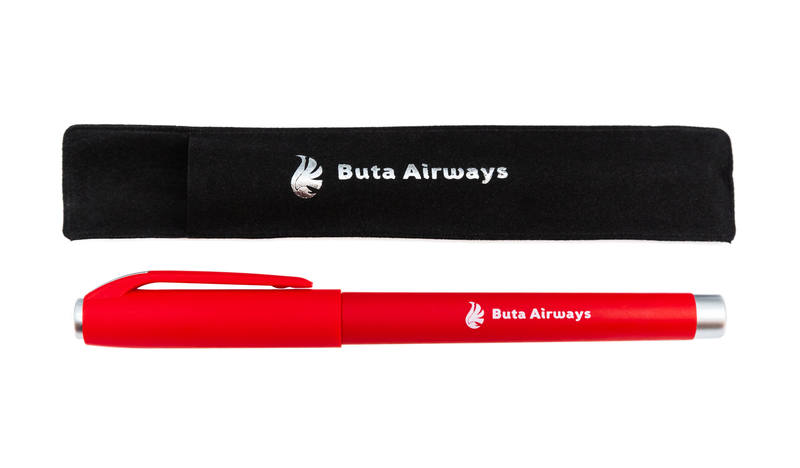 A ballpoint pen with the logo of Buta Airways. 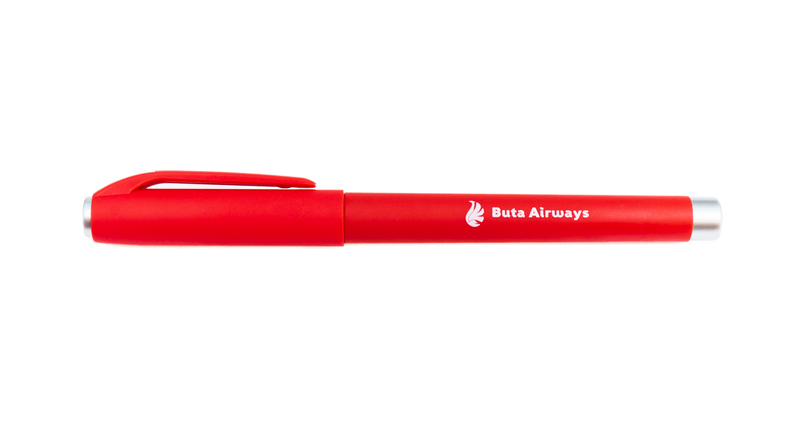 The ink color is black. Color of the case is blue and red. Material - plastic.